Aluminum Roof Sheets offered are among highly popular roofing solutions and come in the lightweight finish which makes these easy to install. Meeting the demands of providing natural light to the interior spaces as well as provide amble savings on energy front, these environment friendly solutions are also resistant against fire and extreme weather a well as provide for durable and long service life. Some of its features include suitable for use in areas like storage, warehouse, terminal building, stadium; suitable resistance against usage in cold or hot weather conditions; available choice of standards & OEM specifications as per the demands of the customers. 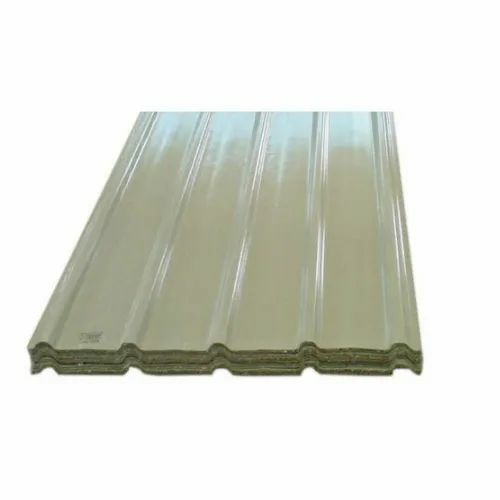 Established in the year 2012 at Mumbai, Maharashtra, we “STEELWAY ROOFING” are a Sole Proprietorship based firm, engaged as the foremost Manufacturer,Trader of Roofing Sheet, Decking Sheet, Colored Roofing Sheet, Portable Cabin Sheets,ETC. Our products are high in demand due to their premium quality, seamless finish, different patterns and affordable prices. Furthermore, we ensure to timely deliver these products to our clients, through this we have gained a huge clients base in the market. We Also Service proviter.